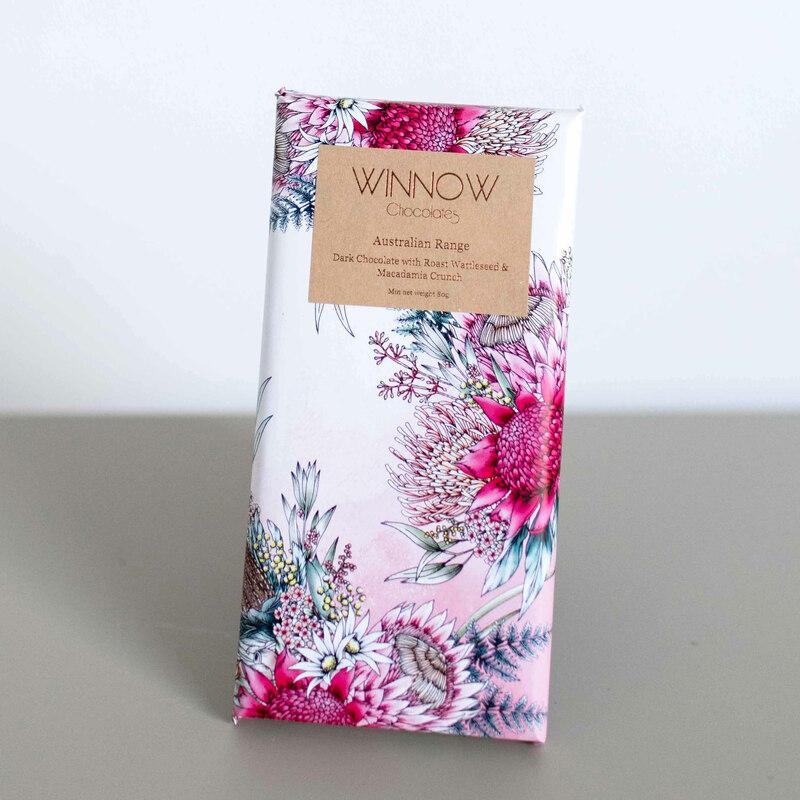 Ingredients: organic dark chocolate (cocoa mass, sugar, cocoa butter, vanilla), ground roasted wattleseed, honey roasted macadamias. Contains nuts. Dairy free. Contains gluten.